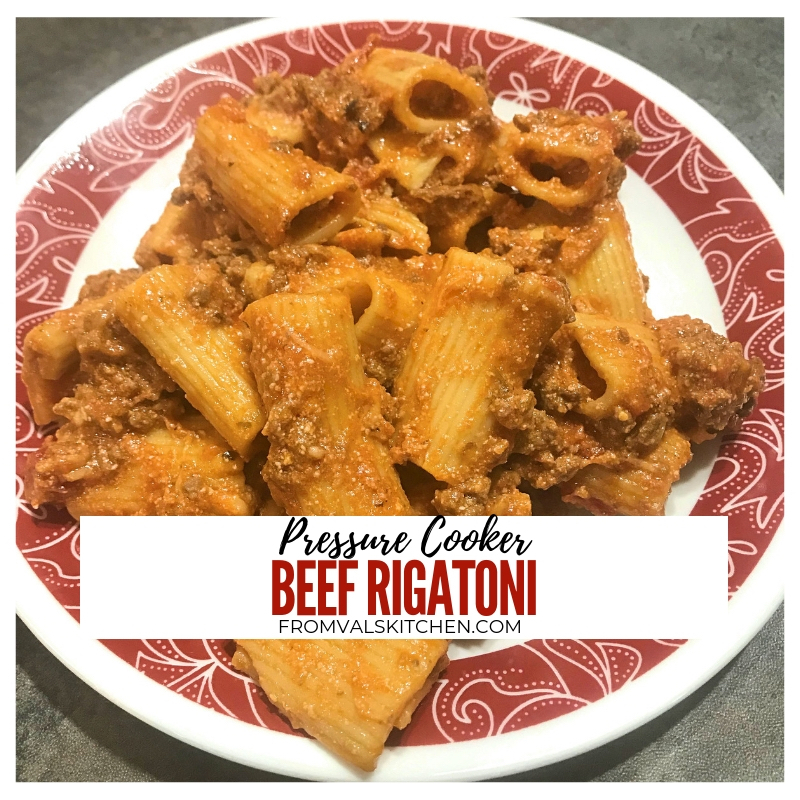 Pressure Cooker Beef Rigatoni is a quick and easy one-pot filling family comfort meal that tastes like it took hours to make. 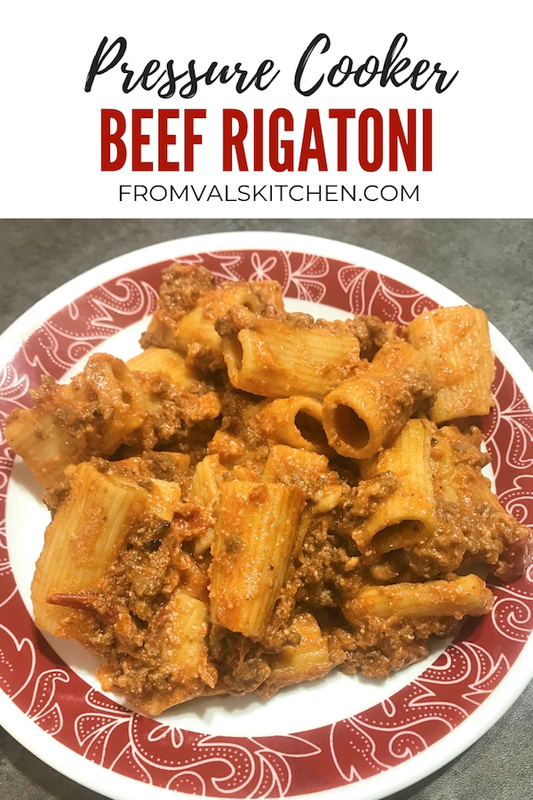 Pressure Cooker Beef Rigatoni is a quick and easy family comfort meal that tastes like it took hours to make. Rigatoni is great because its shape allows it to be surrounded by the sauce. Being able to saute the meat right in the pressure cooker saves energy cooking and creating extra dishes to wash. This filling pasta dish is filled with meat and cheese and is a perfect one-pot meal for a busy weeknight. 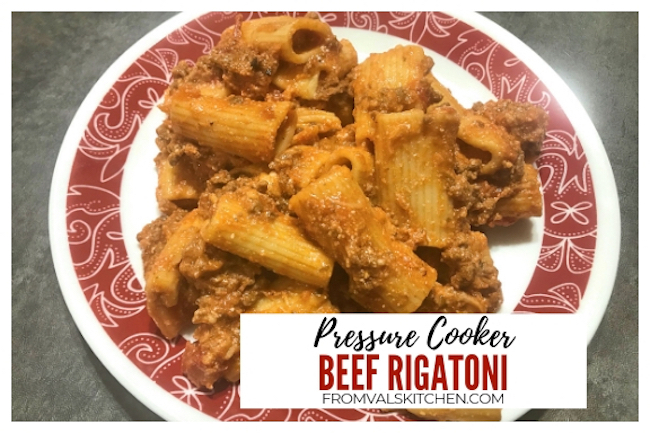 Here’s how I make Pressure Cooker Beef Rigatoni. Place the onion into the pot and cook it until it’s turning translucent. Add the ground beef into the pot and brown until it’s no longer pink. Once the beef is browned, add the uncooked rigatoni to the pot. Pour the two jars of sauce over the pasta, making sure to cover the pasta with the sauce. Set the pressure cooker to cook on manual high pressure for 5 minutes. Add the ricotta cheese and stir well. Put the lid back onto the pressure cooker and let sit for 5 minutes. If you want to add shredded mozzarella to the dish, add it in now and stir to combine before serving. Alternatively, you can also just sprinkle some of the shredded cheese on top of the pasta when you’re serving. Set the pressure cooker to saute. Place the onion into the pot and cook it until it's turning translucent. Add the ground beef into the pot and brown until it's no longer pink. Once the beef is browned, add the uncooked rigatoni to the pot. Pour the two jars of sauce over the pasta, making sure to cover the pasta with the sauce. 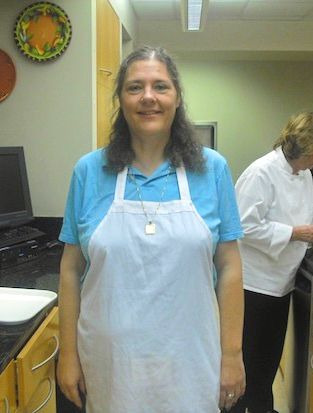 Set the pressure cooker to cook on manual high pressure for 5 minutes. Do a quick pressure release. Add the ricotta cheese and stir well. Put the lid back onto the pressure cooker and let sit for 5 minutes. If you want to add shredded mozzarella to the dish, add it in now and stir to combine before serving. Alternatively, you can also just sprinkle some of the shredded cheese on top of the pasta when you're serving.